Hardline’s shooting mechanics are as smooth and precise as you’d expect of an FPS thoroughbred. The only puzzling aspect is how many bad guys you’re required to mow down and how many bullets Mendoza can absorb. After the stealth and shooting tends to come a high octane chase – the Frostbite 3 engine is, after all, also used to power Need for Speed these days. That said, the driving sections feel like the ugly sister here, with constrained routes and pre-scripted set pieces proving below par. Worse still, there are times when you’re asked to shoot at enemies while driving at speed. This proves to be not only irritatingly difficult – due to your car bouncing about all the place – but also just plain dumb, as your gun suddenly develops the ability to shoot continually without reloading. Regardless of this minor misstep, Hardline’s campaign does deliver, even if it doesn’t quite hit the heights of a BioShock or Far Cry. Online, Hardline is cops and robbers meets your standard Battlefield multiplayer fodder, albeit with a few new ways to play thrown in to add to the obligatory Conquest mode. 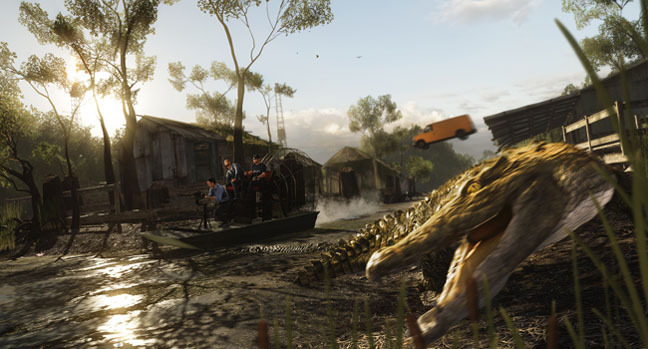 The main difference between Hardline and traditional Battlefield is in its speed and intensity. Tanks and planes are replaced throughout by lighter, speedier vehicles moving rapidly across smaller maps. 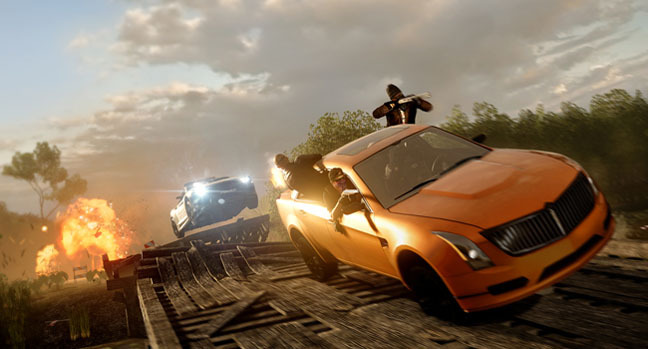 Hotwire is perhaps the mode that personifies this higher tempo, as police and criminals drive stolen vehicles at high speeds to deplete the opposition’s tickets. Blood Money – a variation on capture-the-flag where the enemy’s cash is your goal – also makes good use of the claustrophobic maps to create unending fire fights. 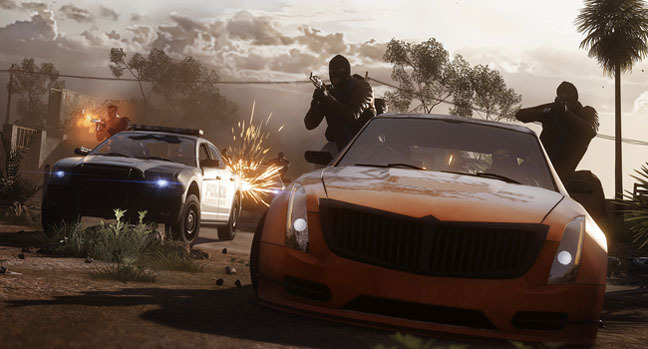 Heist is Hardline’s most recognisable mode, having been included in various betas. Here, criminals must complete a series of objectives, with the police providing staunch resistance. It makes for a frenetic experience, though one that’s almost too chaotic for its own good at times. The remaining modes – the hostage-freeing Rescue and VIP-escorting Crosshair – deliver proceedings directly into Counter-Strike’s "one life per round" territory. Both offer a distraction, but Hardline never feels as finely tuned as Valve’s classic in these do-or-die mission types.